Flight 2 of this year’s Sydney Championships is done and dusted with Thomas Bilby (pictured below) our chip leader after the day’s play with 118,525 – just ahead of Kwong Phung with 110, 925. Phung was one of 139 players that took their seats at the start of the day’s play and after a solid start he rocketed up the leaderboard following a huge hand in which he flopped top two pair holding J-10 against the A-A of Andrew Scarf and the 8s of Rod Batoz. Both Bilby and Phung still trail our overall chip leader from Flight 1, however, with Martin Rowe heading into tomorrow’s second day with a monstrous stack of 146,525. A total of 102 players will return tomorrow after 61 made it through today. Among the casualties were Daniel Neilson, Grant Levy, David Gorr, David Borg, Jesse McKenzie, Martin Kozlov, Andrew Scarf, Erroly Strang and Victor Teng. However still alive and kicking are the likes of Leo Boxell, Aaron Benton, Michael Kanaan, Dider Guerin and Sam Capra. With 227 players registering for this year’s event, we have a total prize pool of $635,600 and the remaining 102 players will all have their eyes firmly fixed on the $165,526 top prize. 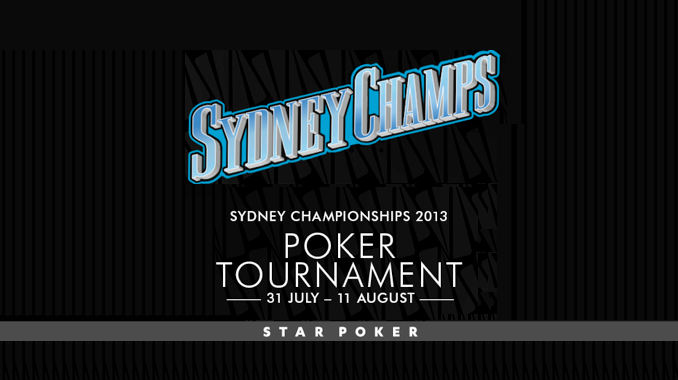 Join us back here at PokerMedia Australia tomorrow from 12:30pm as we start the countdown to the 2013 Sydney Championships main event final table. The floor staff has just announced that there will be three more hands tonight before we bag and tag. Leo Boxell was just about packing his bags and getting ready for the long drive back to Melbourne when he had just 12,000 at the dinner break but he has had quite a run since returning to the tables and now sits behind a healthy stack of 60,000. As always, his loyal wife Bev is sitting behind him watching all the action. Aaron Benton has endured a topsy turvy day and was down to 8,000 not so long ago but after doubling once he has just scored an even bigger one to move back over 40,000. After Patrick Crivell opened in early position to 1,625, Benton re-raised out of the blinds with K-K and received a call. The flop came Q-7-5 and Benton bet 5,000. Crivell called. On the 9 turn Benton shipped the rest of his stack – around 10,000 – and was again called by Crivell’s A-Q. The river was a 3 and Benton is back in business while Crivell has been crippled. 8:35pm: Go and get Phung’d! Kwong Phung has just won another big pot to eliminate two players and rocket into the tournament chip lead. On a flop of J-10-5, Rod Batoz was all in for his tournament life with Phung making the call. Andrew Scarf then re-raised all in for 30,000 with Phung quickly calling his shove. It was Scarf’s A-A against Phung’s J-10 and the 8-8 of Batoz. The turn and river bricked and Phung is in great shape as we head towards the end of the day’s play. Injured Sydney Swans star Adam Goodes has just popped into the poker room here at The Star to say hi to a few people and check on the progress of the tournament. Goodes is a huge poker fan, a regular in the cash games here at The Star and of course enjoyed a deep run in the Star Summer Series main event in April. Here he is posing with a very shocked looking poker room manager Stephen Ibrahim! As the clock counts down the final seconds of Level 7, we’re about to head into the final hour of the day with blinds moving up to 400/800 with a 75 ante. Sam Kennedy has just a won a huge pot to eliminate an opponent and move to 80,000 in chips. It all began sedately enough as the two took a flop of 4-7-6. Kennedy called a bet from an opponent as an 8 landed on the turn. That’s where things went a bit nuts as the chips went flying. Kennedy’s opponent bet, Kennedy re-raised, his opponent shoved and Kennedy snapped him off. His opponent showed 5-6 for the turned straight but Kennedy held 9-10 for the nuts and when a 3 landed on the turn he was laughing all the way to the bank. Rod Batoz has just doubled up to move back over his starting stack but only after a huge scare that had him out of his seat and packing his bags. The hand began with Batoz opening to 1,325 and having David Gorr 3-bet to 3,300. Michael Guzzardi then re-raised to 7,300 with Batoz quickly getting the rest of his short stack in. Gorr folded and the hands were opened with Batoz in great shape holding A-A against Guzzardi’s Q-Q. The flop was a disaster for Batoz as it fell Q-10-7 but just a she was getting ready to depart the A binked the turn. The river 10 gave both players a boat but it was Batoz chipping up to stay alive. Guzzardi still has 45,000. It didn’t last long. Next hand Polias raised to 1,300 and met a 4-bet from Michael O’Grady to 4,000. Polias shipped his remaining 18,000 and O’Grady made the call. “You’re not getting there this time,” O’Grady said as the dealer spread a 4-6-Q-8-K board to send Polias to the rail. O’Grady is up to 58,000 after that hand. Players are returning from their dinner break as we prepare to play our last two levels of the night. Blinds are now at 300/600 with a 50 ante. Having started the day with 139 runners, we have 82 remaining in their quest to join the 41 that progressed through from Flight 1. We’re off on a 30-minute dinner break! When we return we will play two more levels before calling it a night. Michael Guzzardi has been quietly building his stack and he just added another 9,000 or so to move to 90,000. The hand began with Kwong Phung opening to 900 and Guzzardi making the call. Graeme Putt also came along for the ride in the small blind before the big blind shoved his remaining 6,925 into the middle. Phung tank-folded but Guzzardi tank-called – tabling pocket 4s to be racing against the big blind’s K-J. The flop was huge for Guzzardi as it came Q-4-3 and when the repeat Q landed on the turn he had eliminated an opponent. He will enjoy his dinner break coming up shortly. Jim Pizanias lost count of just how many outs he had when he got it in with K-Qcc against Jimmy Ghobrial’s A-J on a Jc-10h-6c flop. By our count he had a full 20 outs but only needed the one as a Q landed on the turn. The river bricked and he is up to 38,000. If Andrew Scarf makes a deep run in this year’s event he will just about have done so from a chip and a chair. Down to just 1,300 after a couple of levels today after being on the wrong end of a cooler, he is now back to 40,000 and moving up. In the most recent hand, Scarf called Sam Capra’s late position raise from the small blind and they saw a flop of J-10-6. Capra continued for 400 and Scarf called. The turn was a Q and Scarf check-raised Capra’s 700 bet to 2,500. Capra shook his head and mucked as Scarf flashed a Q. Players are about to head off on their second 10-minute dinner break of the night. The moral of this story is that Andrew Scarf has made a miraculous recovery after being as short as 1,300 just an hour ago and is now back up to 15,500 – but it was a truly strange hand that led to his recent triple-up. It began with Raymond Aoukar opening in mid-position and receiving a call. Scarf was thinking about what he should do when Didier Guerin jumped the gun and also announced call. Scarf then shipped for his remaining 4,900 and the dealer instructed Guerin that because he had announced call he was bound to call the 4,900. Guerin agreed but when it folded back around to Aoukar he re-raised all-in for another 14,000. The weirdness didn’t end there, though. While all of this was going down, the floor staff arrived to tell Guerin that he owed David Gorr 2,600 from a previous hand. Guerin folded – down not only that 2,600 but the 4,900 from his initial call – and Scarf was thrilled to see he was a huge favourite with K-K against Aoukar’s K-Q. The board ran out 4-6-5-7-2 and Scarf is still alive. David Yan looked a touch sheepish after this one but no doubt his stack of 75,000 will provide some comfort. Not so Rory Young who will have to wait for another year if he wants to be crowned Sydney Champion. 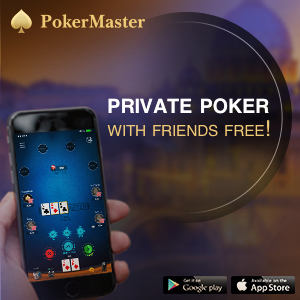 His demise started when he opened to 450 and received call from Yan and another player in the big blind. The flop came Kd-Qd-3h and Young c-bet for 700. Yan then re-raised to 2,300 with Young making the call. The turn was the 6h and Yan bet 5,200 when checked to. Young called. The river was the 6h and this time Yan jammed for 20,000 when checked to. Young called and tabled A-K for trips but Yan had caught running cards with his 9-5hh for the flush. He is now among today’s chip leaders. Didier Guerin has been fairly quiet over the first few levels of the day but he just scored a crucial double-up to move to around 35,000. Guerin got it in pre-flop with Aces against the J-J of Raymond Aoukar. The flop gave him a scare as it fell K-J-10 but an A on the turn settled the nerves and a blank river saw him start to progress up the leaderboard. As we move into our fourth level of the day, we’ve just had confirmation that registration is now closed. 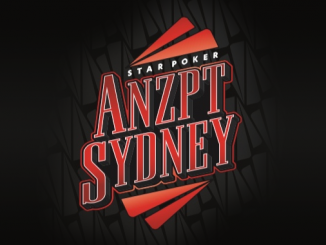 With 139 players taking their seats today, that means the official field for this year’s Sydney Championships main event is 227 players with a total prize pool of $635,600. We’ll bring you the payouts as soon as they have been finalised. Michael “Poker Life” Tran (pictured below) is our new chip leader after winning a huge pot off an opponent who picked the wrong man and the wrong time to bluff. It began with the player to his right opening to 450 and Tran flatting with Q-Q. The player to Tran’s left then re-raised to 1,200 with both players making the call. The flop fell J-7-7 and after the first player and Tran checked, the pre-flop 3-bettor made it 2,600. Tran re-raised to 5,200 and his opponent called. The river was a 4 and Tran led for 8,000. His opponent shipped for 20,000 more and Tran called. Incredibly, his opponent showed A-9 for an air ball and when the river bricked Tran found himself the clear chip leader with around 85,000. On a board reading 8-10-Q, Michael Kanaan led out for 1,800 and was re-raised to 3,500 by Chad Awerbuch. Kanaan made the call. The turn was the 5 and this time Kanaan check-raised all-in over Awerbuch’s bet of 5,100. Awerbuch called only for both players to flip over J-9. Awerbuch had outs to the win with two clubs but the river blanked and they split the pot. We caught up with a hand involving David Borg (pictured below, it’s really him!) and Raymond Aoukar on a flop of 10-J-K with two diamonds. Aoukar checked to Borg who bet 6,000. Aoukar then check-raised all-in for 14,325 total. Borg went into the tank for about a minute before reluctantly folding. He slips to 8,000 while Aoukar moves to 30,000. We’ve just witnessed a bizarre hand on Table 10 that had the room in raptures. There was just 1,500 in the pot on a flop of 5-8-9 when Andrew Scarf checked to John Apostolidis, who shocked everyone by jamming for 25,000! Scarf snap-called with pocket 5s and expected to be in great shape, but instead Apostolidis showed 6-7 for the flopped nuts! His hand held and while the table looked on with amazement at what had just occurred, Apostolidis raked in a huge pot to move to 55,000. Scarf is down to just a few thousand and clinging to life! We’re on our first 10-minute break of the day. Aaron Benton has certainly been active, getting himself involved in the majority of pots we’ve witnessed while walking past his table today. A few minutes ago he led out in a 7-way pot on a Kh-10h-2c board. That elicited five folds and one call. Both players checked the 2h turn before Benton bet 2,000 on the 4c river. His opponent called and Benton instantly mucked. However, he took a few chips back soon after as he bet out in another multi-way pot on a 7-6-2 flop. The table folded and Benton flashed a 7 as he scooped the small pot. He sits just under his starting stack with around 18,000. With a few late arrivals, an interesting table has developed over on the far side of the room. Sitting alongside one another from right to left are Michael Kanaan, Milan Gurung, Chad Awerbuch and Victor Teng (pictured) while also at the table is Tam Truong. We don’t expect any easy pots on that one! Michael Guzzardi just hit a miracle river card to just about double-up and eliminate an opponent in the process. We heard the familiar cry of “All in, call” from the dealer and raced over to see Guzzardi’s J-J needing help against the A-A of his opponent on a Q-10-6-9 board. Guzzardi had an open-ended straight draw to go with his two J outs and it was a J on the river that saw him scoop the pot and rocket up to 45,000 in chips. We can’t help but note that we’ve had three eliminations so far today and all three have managed to get it in good before being cruelly sent to the rail! We’re down to 128 runners. We’ve just lost the winner of the Sydney Championships main event in 2011, Errolyn Strang. Strang stopped by our reporting desk on the way out to let us know of her misfortune. After engaging in a pre-flop raising war, she 7-bet shoved with Aces and was called by an opponent holding Kings. Unluckily, the window card was a K and when she couldn’t catch up Strang was sent packing. We’ve reached Level 2 with blinds up to 75/150. After a raise to 250 and a call, Laurence Hall called from the small blind and the three players saw a 2-3-6 flop all spades. Hall led for 400 with the original raiser folding but the other playing making the call. The turn was the repeat 2 and Hall bet 500 with his opponent making the call. When the river brought another 3, Hall bet 700 and was again called. Hall showed 9-5ss for the flopped flush with his opponent mucking his cards. He is up to 24,000. Craig Blight is our early chip leader after doubling up and eliminating our first player of the day – although it took a bit of luck on the river to do so. Blight was in the blinds with Q-Q and after a raise and a call, he popped it up to 900. The original raiser called and they took a Q-9-7 flop. Blight led for 1,500 and his opponent called. The turn was a 10 and when Blight bet 6,500, his opponent jammed with Blight quickly making the call. Blight had flopped top set but would need some help against the turned straight of his opponent’s K-J. That help arrived on the river with the repeat 9. His opponent stood up in disgust and quickly left the poker room while Blight now sits with around 42,000. We caught the action on the turn as Daniel Neilson (pictured) bet 2,500 and was called by both Leo Boxell and another opponent on a 3-Q-9-10 board with three spades. The river was the 8s and it was checked around. Boxell showed J-8 of clubs for the straight but his opponent opened K-4ss for the turned flush. Neilson mucked. As their opponent raked in the healthy pot, Boxell turned to Neilson and quipped “Another fine mess you’ve gotten us into, Stanley.” Neilson chuckled as his stack took an early hit. A quick scan of the room has revealed a who’s who of the Australian poker scene taking part in today’s flight. Among those we’ve spotted are Daniel Neilson, Grant Levy, David Gorr, Leo Boxell, Aaron Benton, Michael Kanaan, David Borg, Jesse McKenzie, Didier Guerin, Martin Kozlov, Andrew Scarf, Sam Capra, Errolyn Strang, Graeme Putt and Victor Teng. 12:35pm: Cards are in the air! Play is underway here at The Star. Players start with a stack of 20,000 with blinds at 50/100. We will play eight one-hour levels today. 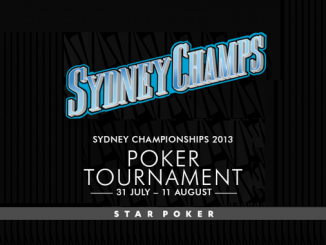 Welcome back to PokerMedia Australia and our coverage of Day 1, Flight 2 of this year’s Sydney Championships main event. After a long night for last night’s opening flight, with play finishing around 3.30am, we’re set for another eight levels of play today with play scheduled to finish around 9.30pm – so it will be an early night for everyone! We saw 88 players take their seats yesterday with 41 progressing to Day 2. We’re about 10 minutes away from kick-off today with exactly 100 players already registered. That number should increase significantly over the next few hours so stay tuned to PMA as we bring you all the action live from The Star in Sydney.